Easter Bunny Tutu Dress. Bunny Tail Tutu Toddler. Easter Skirt 9 12 18 Months. My First Easter Outfit. Easter Bunny Tutu Set For 0 3 6 Months. Bunny Tail Tutu. Easter Bunny Tutu Dress For Babies & Toddlers 9 12 18 Months. Baby Girl Easter Outfit. Easter Bunny Tutu Set With Bunny Tail For 9 12 18 Months. *Please be sure to read through the entire listing before you purchase. It contains important information. For instance, most tutu sets do not include legwarmers or headbands...those are sold separately. Please read the entire listing to see what's included in the listing. Toddler Frozen Tutu Dress 2 3 4 Years VERY Full! 4th Of July Baby Girl Outfit. 4th Of July Tutu Outfit For 9, 12, & 18 Month Babies And Toddlers. Happy Father's Day Baby Outfit. First Father's Day Outfit For 9, 12, & 18 Months. Newborn Ballet Outfit. Infant Ballerina Shoes Outfit For nb 3m or 6m. 2 Piece Set. Baby Girl Valentine Outfit. Pink And Red Tutu With Valentines Onesie For 9 12 18 Months. Newborn Red Tutu Outfit. Heart Onesie & Tutu Skirt For 0 3 6 Months. Baby Girl Valentine Outfit. Fluffy Pettiskirt Tutu And Be Mine Onesie For 9 12 18 Months. Toddler Heart Tutu Set. Happy Valentine's Day Shirt & Red Tulle Skirt For Girls 2T, 3T, And 4T. Girl's Valentine Tutu. Pink And Red Tutu For Toddlers 2T 3T & 4T. So Cute! My First Valentine's Day Outfit. Baby Girl Valentines Set With Hot Pink Tutu For 0 3 6 Months. Valentine Tutu Set For Toddlers. Valentine's Day Shirt & Pink And Red Tutu Set For Toddlers. Toddler Valentine Outfit. Pink And Red Tutu And Valentine Shirt For Toddlers 2T 3T 4T. Ballet Leg Warmers. 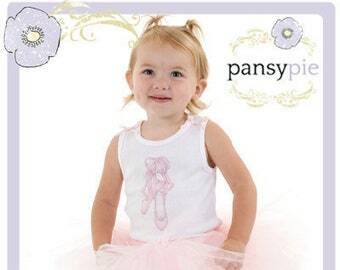 Pink Tulle Ballet Leggings For Babies & Toddlers. Toddler Tutu Outfits. Girls Dance Costume. Pink Ballerina Girls Ballerina Dress Set For 2T 3T 4T. Baby White Tutu Skirt. White Tutu Dress for 9 12 18 Months. Welcome! I'm Danielle and I live in St. Louis with my sweet husband and cute little dog. Ever since I was a little girl I've always enjoyed creating things! Now I'm living my dream...designing handmade items for others and loving every minute of it. All purchases are final. Once an order has been placed we cannot cancel it. Due to our automated ordering system, once your order has been placed, it is automatically entered into our system and a shipping label is printed for your package. Please be absolutely certain before you purchase, as we will not cancel an order once it has been placed. ***Due to the nature of the product, all PDF file tutorial purchases are final and non-refundable. They are automatically available for download through Etsy after payment is received. *Our handmade items are made to order, so their lead time is between 1 and 6 business days (plus shipping time), depending on which item you purchased. *We ship to the address that is provided to us in the buyer's Etsy order. If that address is incorrect, and the package is somehow returned to us, the buyer is to pay for shipping costs if he or she would like the package re-delivered. Because our items are handmade to order, we are not accepting returns at this time. *We ship to the address that is provided to us in the buyer's Etsy order. We encourage all buyers to please check your shipping address in Etsy to make sure it is correct before placing an order. If that address is incorrect, and the package is somehow returned to us, the buyer is to pay for shipping costs if he or she would like the package re-delivered. *Please ask if you'd like to purchase insurance on your package and we can add it onto your order. We cannot pay for lost or damaged packages due to Post Office faults. 1) I am new to Etsy, how do I buy an item? 2) Do you take custom orders? At this time we are not accepting custom orders for custom-made shirt designs. We do accept custom orders for tutus. 3) What size of tutu should I order? nb-6m length= 6.5 inches waist= 16 in. 9-18m length= 7.5 inches waist= 18 in. 2-4T length= 9 inches waist= 20 in. 5-7 Year length= 11.5 inches waist= 22 in. 4) What brand of onesies and shirts do you use? We use a variety of onesie brands depending on what is available to us. We cannot state a certain brand because some brands are back-ordered so we have to purchase other brands from time to time. We primarily use Carter’s brand onesies but reserve the right to substitute other high quality brands when we're running low on certain sizes. The brand we use for all of our shirts varies depending on what we have in stock. 5) Do you carry long sleeved onesies and shirts? We do carry long sleeved onesies and shirts in the cooler months. We may have some limited sizes of long sleeved onesies and shirts in stock in the warmer months. The long sleeves cost $2.50 extra. 6) What size of onesie should I order? *Here is the Carter's brand sizing chart...If we run low on a certain size, we do reserve the right to fill in with other brands. 7) Do your items come from a smoke-free and pet-free home? Our items come from a very clean smoke-free home. We do have a small dog, which isn’t allowed in our tutu studio. 8) How do you make your onesies/shirts? Our shirts are printed using a couple of different techniques. Heat pressing: This is our primary form of shirt printing. We print our appliqués using specialty inks, which are specifically designed for clothing. We then press our onesies and shirts with a professional heat press. Direct Printing: We use this method only about 20% of the time. We treat our shirts using a special method and use specialty inks to print the image directly to the shirt. 9) How should I care for my onesie/shirt? Your shirt should be washed on the gentle cycle (with a gentle non chlorine bleach cleanser) inside-out in cold water, and then hung to dry. Never iron your shirt directly over the appliqué. Heat can destroy the decal. 10) How should I care for my tutu? When you first take your tutu out of the shipping envelope or box, shake it out and gently brush it out with your fingers. Then hang on a hanger to store. It will fluff back out after a few hours or so. If the tutu gets dirty, rinse it with water in the shower and shake off the excess water. Then hang to dry on the shower curtain rod. The tutu is wrong side-out when you can see the knots that the pieces of tulle were tied to the waistband. Turn the tutu over and you will not see the knots at the waistband…this is the correct way to wear the tutu. Basically, you don’t want to see the knots. 12) What is the difference between a regular tutu and a petti tutu? Petti tutus are regular tutus, except they are much fuller and poofier because we add tassels to the ends of the tutu. The petti tutus are more expensive than the regular tutus because it takes us approximately 1.5 hours to apply the tassels (end pieces) to the tutu. 13) Do you carry any other onesie or shirt colors? No, we only carry white onesies and shirts at this time, but we will soon have a new line of colorful shirts available. 14) What are the measurements of your 2t, , 3t, 4t and 5/6 sized shirts? 2t = Front of neck down to bottom of shirt is 12.5 inches and 10 inches across the shirt from left to right side. 3t = Front of neck down to bottom of shirt is 13 inches and 11 inches across the shirt from left to right side. 4t = Front of neck down to bottom of shirt is 13.5 inches and 11.5 inches across the shirt from left to right side. 5/6= Front of neck down to bottom of shirt is 14 inches and 12.5 inches across the shirt from left to right side. 15) Is the tutu outfit one piece? No, they are two separate pieces. The tutu is not attached to the onesie/shirt. This way they can be worn separately from each other if need be for different looks. Our handmade items are made to order, so their lead time is between 1 and 6 business days (plus shipping time), depending on which item you have purchased. Shipping Times: Once we have shipped your order, it can take anywhere from 3-6 business days to receive your order. If you paid for First Class shipping, then your package will take approximately up to 6 business days to arrive after we ship it. If you paid for Priority shipping, your order will take approximately 2-4 business days to arrive after we have shipped it. 2) What happens if my package is lost or damaged by the Post Office? Please ask us if you'd like to purchase insurance on your package before you purchase the item and we can add it onto your order. We cannot pay for lost or damaged packages due to Post Office faults. Insurance is usually $3, but can be more. It depends on the value of the package being shipped. Please let us know if you'd like insurance before you order, and we will add it to the price of the listing. * If you need to contact me for any reason, please use Etsy conversations, as I do not check my personal email account very often. Either me or my assistant Brianna will try our best to answer your question within 24 hours. We guarantee the best service to all of my customers. We always respond to questions in a timely manner, so don't be afraid to contact us with anything :) Be sure to use Etsy conversations as we don't check the personal email address very often. Thanks!